China and India are moving towards setting up a military hotline, Chinese state media reported, with a border dispute and tensions over terror sanctions still lingering over relations between the Asian giants. 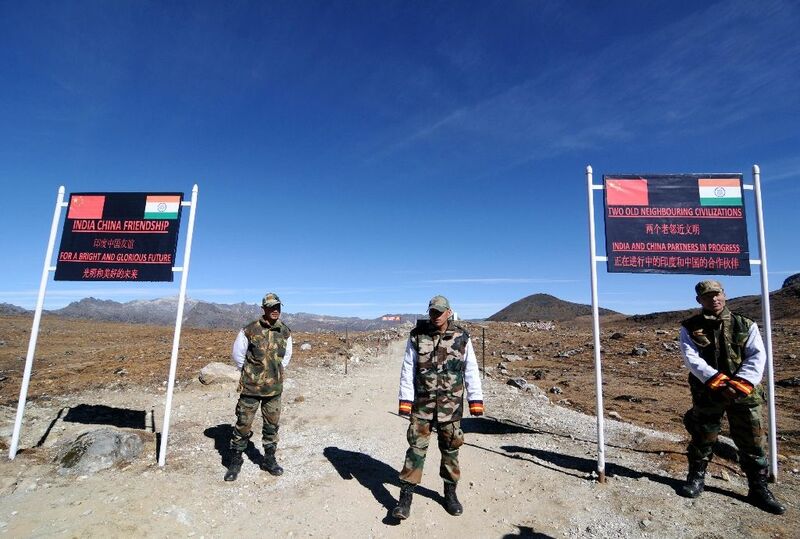 China "reacted positively" to the idea of setting up a hotline, the official Xinhua news agency cited Defence Minister Chang Wanquan as saying Monday during talks with his Indian counterpart. The world's two most populous nations are jockeying for regional influence in Asia and their relationship is coloured by territorial disputes at both ends of the Himalayas. Tensions rose in 2014 when hundreds of Chinese troops allegedly moved into mountainous areas of Ladakh under Indian control, as China's President Xi Jinping arrived in India on a landmark visit. Xinhua late Monday cited Indian Defence Minister Manohar Parrikar as saying India "hopes to beef up bilateral exchanges and cooperation (with China) in all sectors". But it added that China "expressed reservations over such a move" which was proposed last year when Indian Prime Minister Narendra Modi visited China. India reacted angrily earlier this month after China blocked its request to add Masood Azhar, head of the Pakistani militant group Jaish-e-Mohammad, to a UN sanctions blacklist. China enjoys close relations with India's arch-rival Pakistan, and is pursuing a multi-billion-dollar slew of infrastructure projects there. In a bid to gain Chinese investment, Islamabad said in January it was considering upgrading the constitutional status of a northern region which is also claimed by India. PTI reported that Foreign Minister Sushma Swaraj asked Beijing Monday to "review" its position on Azhar, who is accused of masterminding an attack on the Pathankot airbase in the northern state of Punjab. 0 Response to "China, India move closer to military hotline: Xinhua"